His name has become a metaphor for one who will never grow old. 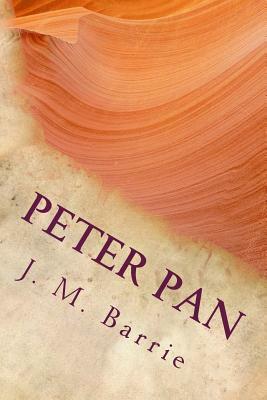 Peter Pan by JM Barrie is the story of a boy who remains a boy while the world around him changes. Sir James Mathew Barrie was a Scottish playwright and novelist whose works were received with great critical and commercial success in the late nineteenth and early twentieth century. He discovered the main inspiration for his creative genius in his friendship (and later guardianship) with the children of Arthur and Sylvia Llewellyn-Davies. The Llewellyn-Davies boys, five in number and related to the famous Du Maurier family, featured in many of Barrie's stories and plays and some of these works were written specifically for them. Peter Pan was first introduced as a character in one of Barrie's stories, The Little White Bird in 1901. Consequently, he appeared in a few other stories and plays and finally in 1904 made his debut in a full length play, Peter Pan or The Boy Who Wouldn't Grow Up. Following the phenomenal success of the play, Barrie transformed it into a novel in 1911 entitled Peter and Wendy. Peter Pan is pure and delightful fantasy. Peter's character is far from a "perfect child." He is selfish, foolish, thoughtless and ignorant and this is where the real appeal of the book lies. Readers are preconditioned to believe that childhood and children must always be portrayed as good and innocent. However, Barrie portrays Peter in all his authentic humanity and that's what makes him so endearing because we truly see ourselves in Peter Pan. The descriptions are fascinating in their detail and intricacy, the dialog and conversations are absolutely spot on and Neverland is a brilliant example of the Utopia we all seek in its perfection and completeness. Captain Hook is a truly evil villain, while Tinkerbell shines in all her haughty magic. For readers who have only seen the saccharine sweet Disney version, the original Peter Pan may come as a surprise Peter Pan cajoles Wendy Darling and two more boys to fly with him to Neverland to become the surrogate family of the Lost Boys there. A series of adventures follows, including scary encounters with Captain Hook and the vicious Tiger Lily. In fact, many readers have found the tale to be quite a disturbing Victorian fantasy about motherhood and emotional immaturity. Whatever the interpretation, Peter Pan remains one of the most brilliant and definitive portrayals of childhood and children. His name has become a metaphor for one who will never grow old. Peter Pan by JM Barrie is the story of a boy who remains a boy while the world around him changes. Sir James Mathew Barrie was a Scottish playwright and novelist whose works were received with great critical and commercial success in the late nineteenth and early twentieth century. He discovered the main inspiration for his creative genius in his friendship (and later guardianship) with the children of Arthur and Sylvia Llewellyn-Davies. The Llewellyn-Davies boys, five in number and related to the famous Du Maurier family, featured in many of Barrie's stories and plays and some of these works were written specifically for them. Peter Pan was first introduced as a character in one of Barrie's stories, The Little White Bird in 1901. Consequently, he appeared in a few other stories and plays and finally in 1904 made his debut in a full length play, Peter Pan or The Boy Who Wouldn't Grow Up. Following the phenomenal success of the play, Barrie transformed it into a novel in 1911 entitled Peter and Wendy.